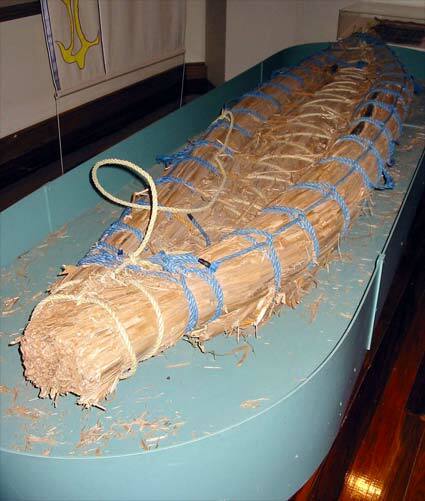 The mōkihi was a form of raft, fashioned mainly from bulrushes and flax. These simple vessels were excellent for crossing lakes and rivers. Under the direction of Tim Te Maiharoa of Moeraki, this reconstruction was made at Waihao in South Canterbury, in 1990.